Central Park began as a vision by the City Council. 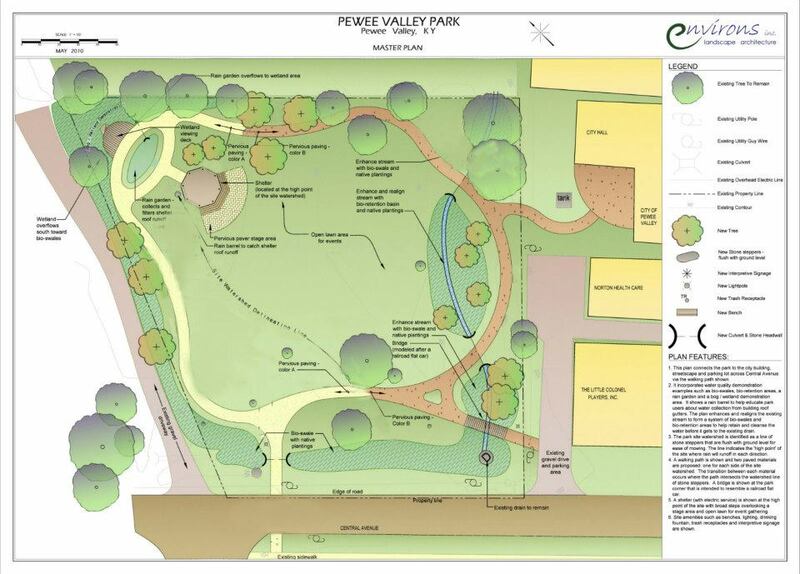 Plans were drawn in Phases to be completed over a 10 year period. Thanks largely to an enthusiastic group of volunteers, the assistance of the South Oldham Rotary Club, the South Oldham Lions Club, Eagle Scout Troop, and The Head Trust Fund grants, and State-level grants, the Park is nearing completion in just 5 years! 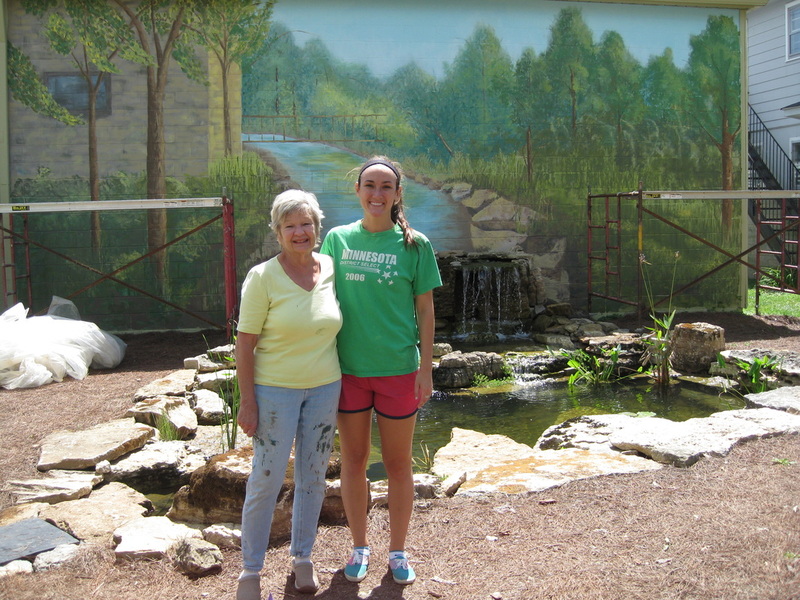 Pewee Valley resident artists Carole Logan and Emily Mintman carry on the long, time honored tradition of creative expression and talent, painting the mural representing the old paper mill in Pewee Valley. Central Park is a public space for everyone to enjoy. It is also available for reservation. Contact the City Clerk at clerk@peweevalleyky.org for information.